A plumbing emergency can strike at any time, and if not professionally addressed, could soon become a water damage disaster. To get your home or business up running again fast, Master Plumbers of North Carolina offers 24-hour emergency plumbing service. During cold weather, it is not uncommon for frozen pipes to become a problem. With a professional plumber on call at all times, our emergency plumbing services include frozen pipe repair to get your after hours plumbing problems fixed fast. Knowing that a quick response can be the difference between a small clean up and extensive water damage repair, Master Plumbers will out to your residence or business quickly. 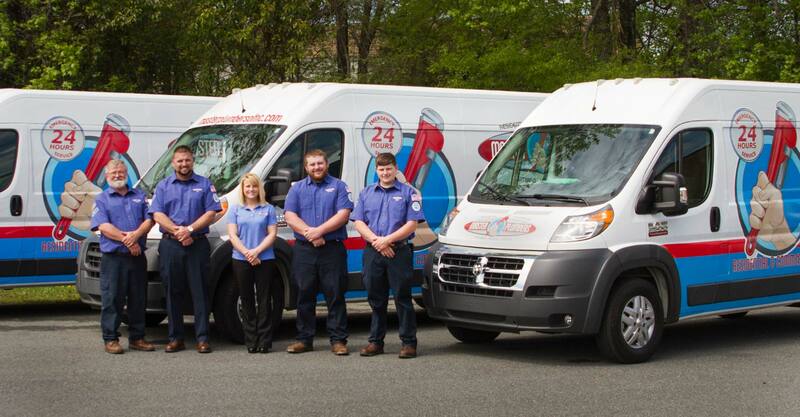 Twenty-four hours a day, seven days a week, commercial or residential, Master Plumbers of North Carolina will be happy to help! Call Master Plumbers at 336.676.5544 for any and all emergency plumbing needs. To view many of our other services, click here.